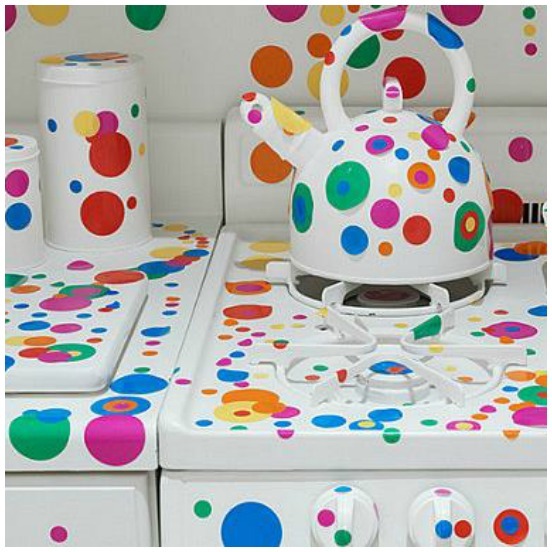 I’ve posted about Yayoi Kusama before (read the post here where she collaborated with Louis Vuitton) – she is a world renowned artist from Japan who is completely and utterly obsessed with repetitive patterning – particularly using dots. 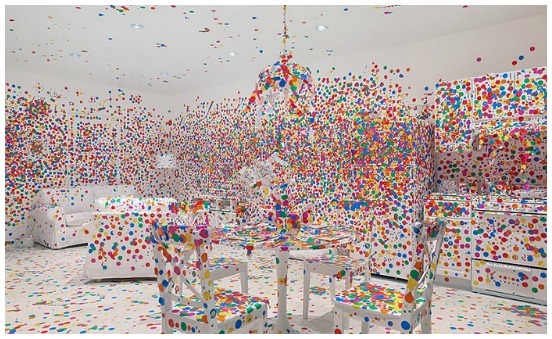 This latest work is called The Obliteration Room and features the obliteration of an entire home into cacophany of crazy coloured dots. 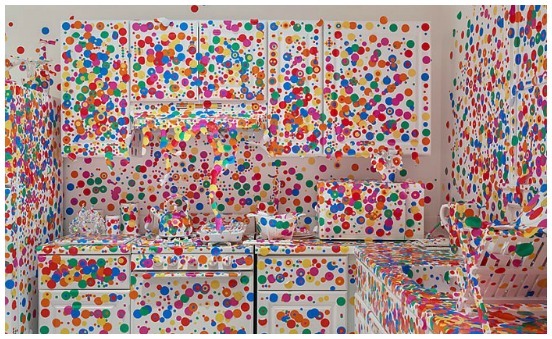 These images feature what was once a plain white kitchen and what is now an example of utterly beautiful chaos. The show is currently travelling the world and has been for the past 13 years – come on Yayoi, come say hello in Cape Town! 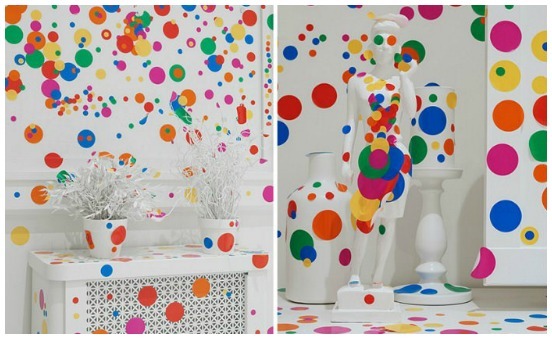 Read more about Kusama’s concept here. Oh my hat … wot fun! One of your many amaze ball posts this week! Keep em coming!